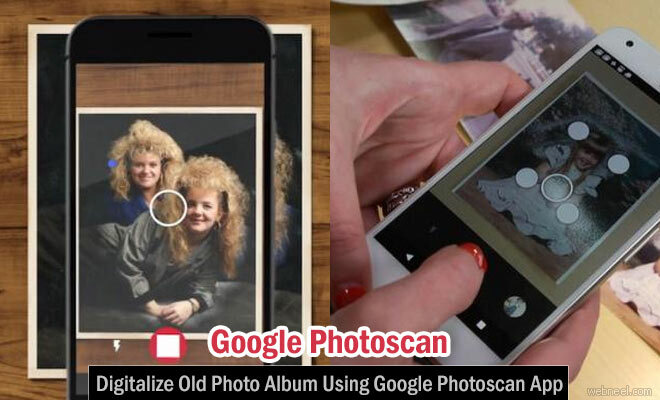 Google is rolling out a photo scanning app which will turn your old printed photos into digital ones with the power of computational photography. PhotoScan uses your device's camera to scan physical photos, but it's not just snapping a single photo and processing it. PhotoScan has you move the phone around so it can see the photo from multiple angles. It's able to pick out "feature points" as anchors as it assembles the frames into a full photo. Improved editing tools will help you to make some tweaks to your scanned photos. There is new auto-enhance option, new filters and advanced editing tools. There are 12 filters that leverage machine learning to mesh better with each individual photo, the exposure, contrast, white level, highlights and shadows. The new PhotoScan is a standalone app for both Android and iOS, and scanning a picture is a clever combination of manual shooting and computational photography. The auto-mode makes the photo look more accurate. The four-corner scanning process eliminates reflections and other aspects of digital deterioration. Like an old panorama app, PhotoScan gets together a single image from those several overlapped photos, making sure to eliminate any glare-infected shots while evening out the overall exposure.